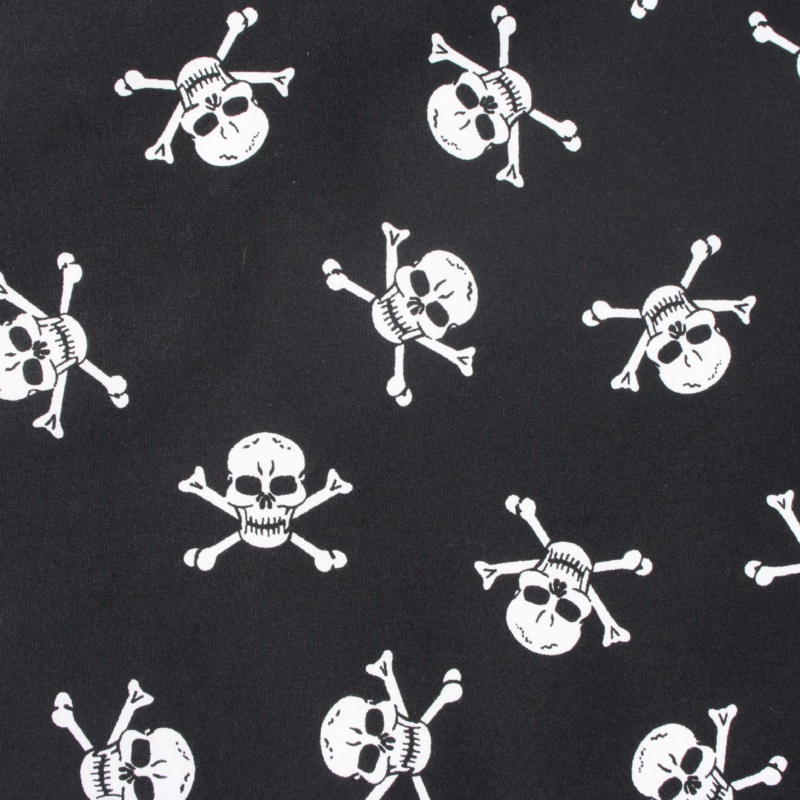 This is a black Pirate Bow Tie, made from a great quality 100% cotton fabric, decorated with a white skull and crossbones design. It's very striking, and is an enduring favourite with our customers. This is a great, cool look for any dog, whether he/she is having a day out at the seaside, a boating holiday, or just out and about on their walkies.